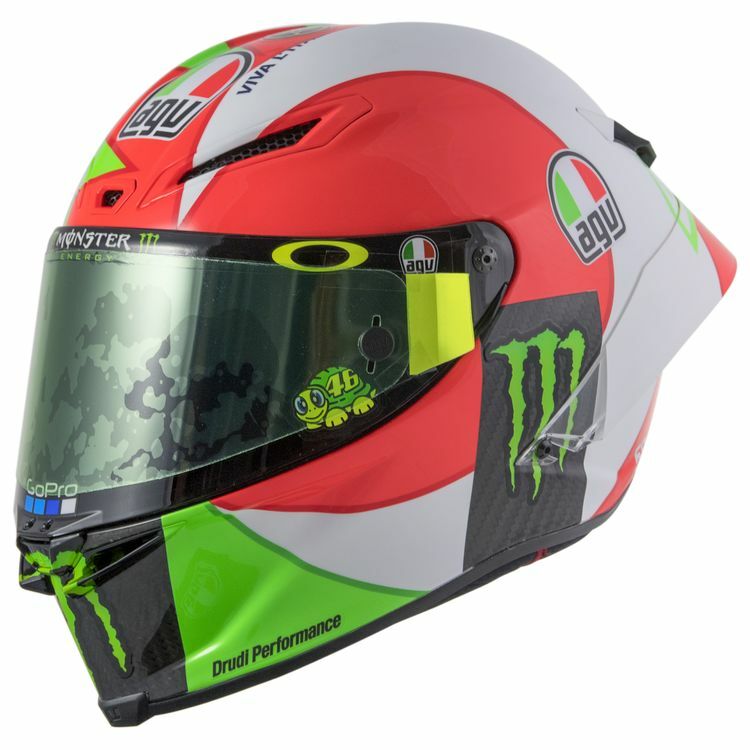 The AGV Pista GP-R Helmet is the ultimate in track helmets. Featuring an integrated hydration system along with metal air vents and an external fins structure to capture maximum airflow leading to higher cooling performance. The light 100% carbon fiber shell shape is designed to minimize interference with the racing suit and limit risk of impact energy transfer to the collarbone. Patented cheek pads safety release system, engineered to remove conveniently cheek pads in case of accident. Note: Helmet will not have sponsor's logos on it. Helmet ships with clear face shield.